Coffee. A parent's best friend. When your kids keep you up all night or wake you up at 5:30 in the morning, it may be the only thing to help you keep your eyes open. Or just keep you somewhat sane. My husband and I are both coffee drinkers, but he likes his strong and I like mine flavored and often decaf. So since we both drink coffee completely different, brewing an entire post is just out of the questions. That's why Keurig Single-Cup coffee brewers are the perfect solution for us. 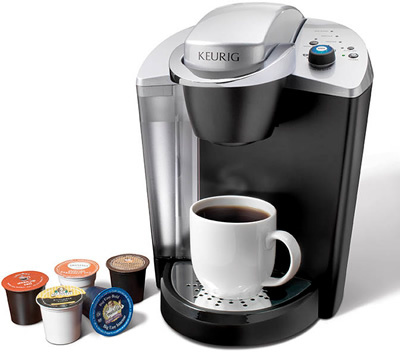 Staples has several commercial grade Keurig brewers including the OfficePRO Brewing System. This single-serve system is the perfect size for a small office, allowing everyone to brew their favorite kind of coffee or tea. What I love the most about Keurig brewers, besides the fact that I can make one cup of coffee, is that they are so easy to use. Turn on, insert cup, brew. Yes, it is that easy. Since this is a commercial brewer, there are some differences from the personal use brewers. For starters, it is made more durable to withstand the high usage that comes with an office setting. Commercial brewers tend to brew up to 10 times more coffee than a home brewer, so it is important that it can handle it. You also have the ability to drain the internal water tank (not the reservoir) which is nice to be able to do if the office is going to be close for a long holiday weekend. I actually wish the home brewers had that feature too. 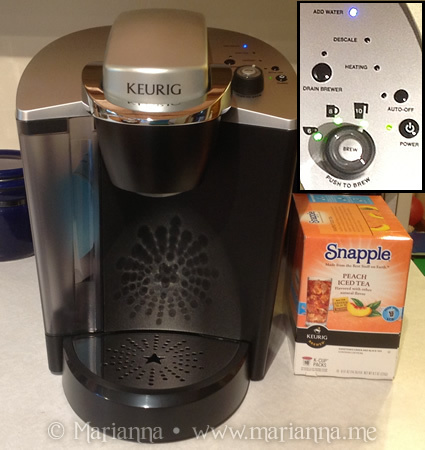 The Keurig OfficePRO has a dial that lets you easily choose which size cup of coffee you would like to brew and indicator lights to let you know when you need to add more water or when it is time to descale your brewer. The removable drip tray not only helps you easily keep the brewer clean, but it also allows extra room for you to fit your travel mug. In addition to Keurig brewing systems, Staples also carries pretty much any K-Cup you can imagine. We have used a variety of K-Cups over the years so this time around I thought I would go with something different. 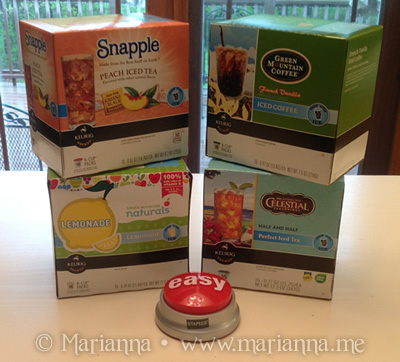 Since we are entering the warmer months, I decided to try out some of the "brew over ice" K-Cup options. I've never used these before so I was curious how they would taste. My favorite I think was the Green Mountain French Vanilla Iced Coffee. I love iced coffee in the summertime so this is going to be a delicious way to start my days. And with 4 kids home from school for 2 months, believe me I will need it. My least favorite however was the Peach Snapple Iced Tea. 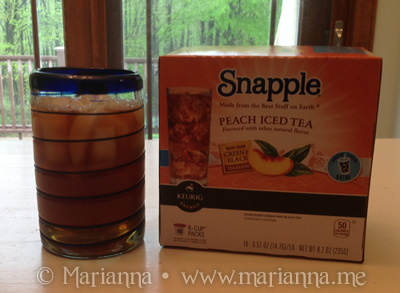 I love Peach Snapple so I couldn't wait to give this a try. But as soon as I tasted it I knew something was off for me. A quick glance at the ingredients showed that it contains aspartame, which I find odd since this is not the diet version. 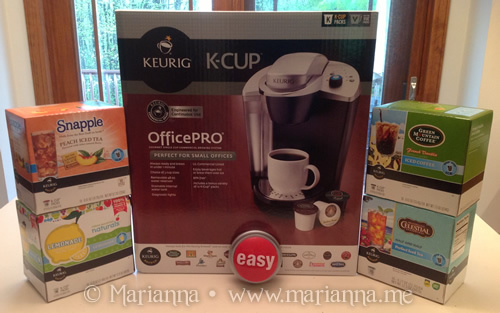 So I was disappointed with that particular K-Cup, but very happy with everything else. Please note that the opinions and views expressed in this review are my own and based on my personal experience with the product and/or company. You may encounter a different experience with this than I did. Staples.com provided me with these products for review. All thoughts and opinions expressed are strictly my own.